There were some cracking animated features last year so don’t feel guilty if you didn’t get around to watching them all. In fact, we’ve done our homework and compiled a list of the best ones that came out, what they are and why you should see them if you missed out. We’d may as well put our square eyes to good use right? Sorry The LEGO Ninjago Movie, this town ain’t big enough for the both of you. 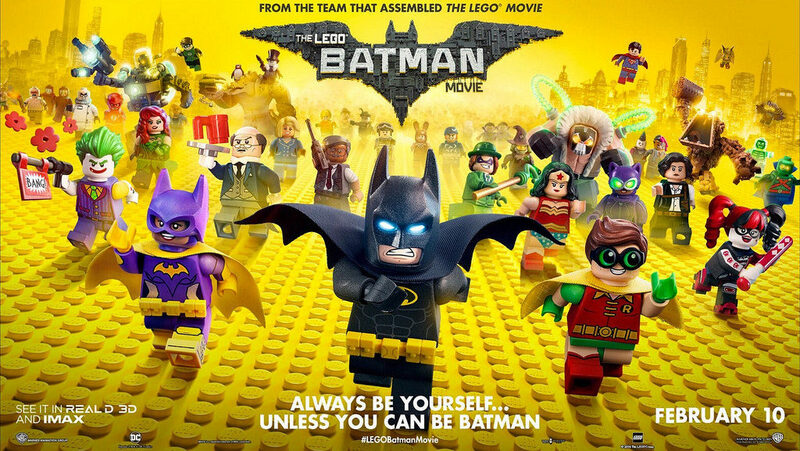 It seems that there just wasn’t enough call for 2 good LEGO movies last year – sure, they’re both beautifully animated, served by fantastic voice actors and had the kids bouncing off the walls in excitement, but if you have to choose one, make it The LEGO Batman Movie. Batman is a cool guy, alright? He’s dark, he’s mastered every martial art ever, PLUS he’s got oodles of gadge. He pretty much stole the show for a lot of us in The LEGO Movie (2014) so it’s no surprise that he has no trouble carrying his own feature. This movie gets a lot of mileage out of its rich DC Comics source material, managing to balance kid-friendly slapstick moments, nods to comic book-lore, and an accessible level of hilarity even for us grown ups. Riding on the crest of the superhero movie trend at the moment definitely helped cement The LEGO Batman Movie’s success. Don’t lock me up in Arkham Asylum for saying this, but I think it’s one of the best Batman movies ever made. Here’s an animated feature that totally came out of left-field for us. Smacking of Persepolis (2007), here’s a masterfully crafted, honest story of a young girl growing up under the Taliban in 2001 Afghanistan. Quality, adult animated features are more scarce than they should be. At times distressingly poignant and always visually captivating, The Breadwinner explores female empowerment, storytelling, empathy and brutality. Leave the kids at home for this one. A young lad named Miguel dreams of breaking his family’s ban on music by becoming a musician like his idol Ernesto de la Cruz. Embarking on a journey to prove his talent, he inadvertently ends up in the stunningly beautiful Land of the Dead. First off: Pixar, why did you make us sit through the Frozen short Olaf’s Frozen Adventure?! If you weren’t subjected to this torment in the cinema last year, just know that it was a drippy, sub-par preamble to the main feature that forced Coco viewers to sit through it for 21 minutes before the main feature even began. Twenty. One. Minutes. I don’t care how cute you think Olaf is, that’s not a short, its a long. At the very least it’s a medium, which still isn’t okay. This is after the ads and after the other trailers, mind. People were getting up and leaving because they thought that they’d somehow managed to stumble their way into Frozen 2. Most cinemas in the UK even took on this feedback and mercifully stopped showing it at their screenings. 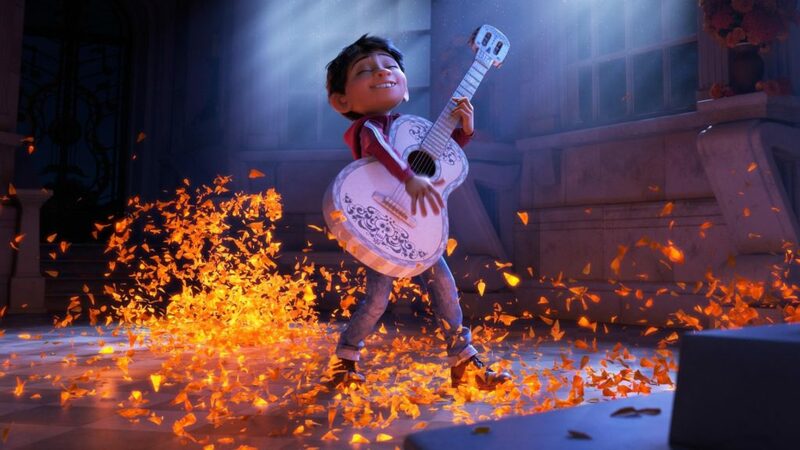 That grumble aside, once you get into Coco itself, you’ll be greeted by a colourful, soulful Día de Muertos-inspired musical triumph. Any fears that we once held about how well a male protagonist would be received after the pre-teen female popularity of Frozen and Moana melted away very quickly, too. Now, before you make any wild assumptions about the premise of this movie… Oh who are we kidding, it’s about a school sinking into the sea. Don’t write it off on its absurdity off the bat, though: it’s got disaster movie elements, it’s got high school comedy and it’s got satirical licks for days. Pair these themes with tactful video game homages, coming-of-age beats and a cracking synthy soundtrack, and you’ve got a very happy boy (me). Yeah it sounds well weird but trust me and give it a shot. A magic realist-style romance story with a bit of body swapping thrown in. 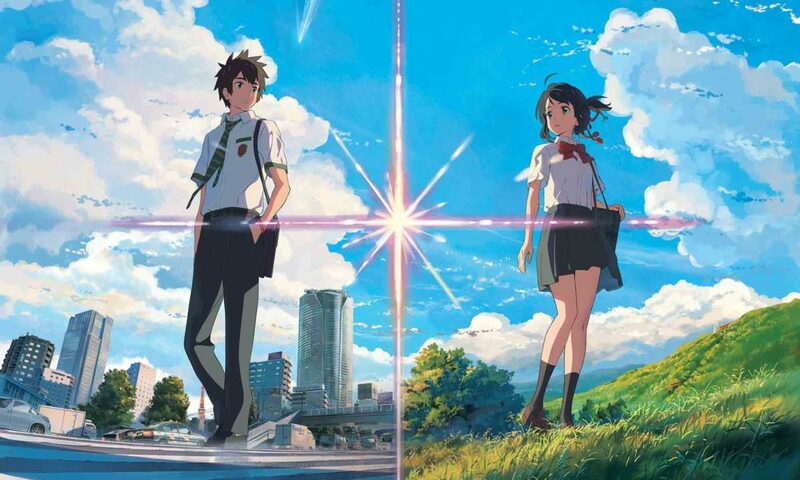 A teenage boy and girl wake up in each other’s bodies, Your Name is about their journey to find one another for the first time. Anime rarely makes such a big splash outside of Studio Ghibli movies, so Your Name really stood out last year. It technically came out in 2016 in Japan (where it dominated at the box office), but since the English language release didn’t arrive until 2017, this one definitely deserves a hot mention. This is especially so because after Hayao Miyazaki’s somewhat premature announcement that The Wind Rises (2013) was to be his last feature, Japanese animation buffs have been seeking a successor. Well judging by the global success of Your Name, Director Makoto Shinkai is giving it a damn good go! We thoroughly enjoyed getting lost for a couple of hours in this endearing coming-of-age romance story. It’s vibrant, modern and accessible. Even if anime visuals turn you off, please give Your Name the benefit of the doubt. It’s a mystical castaway spectacle that tells of a giant red sea turtle that destroys every raft that a stranded man tries to escape on. Studio Ghibli really was on our minds and in front of our peepers last year. Here they teamed up with Wild Bunch to co-produce this spellbinding, dialogue-free castaway tale. Its deceptively simple premise gives way to rewarding depth, recounting the milestones of human life with precise elegance that guarantee to resonate with a broad audience. 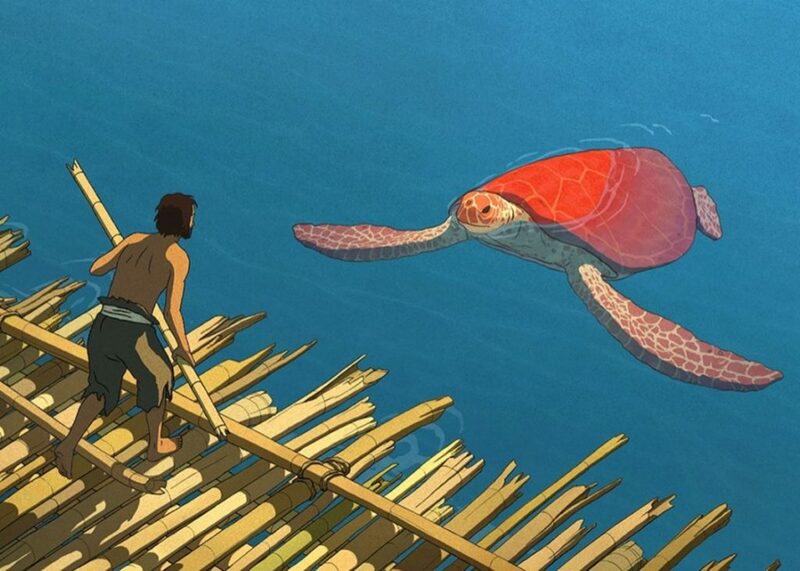 The Red Turtle is the kind of movie where you feel like you could just hit ‘pause’ at any random time and without fail, there would be a beautiful frame that you could happily hang on your wall. 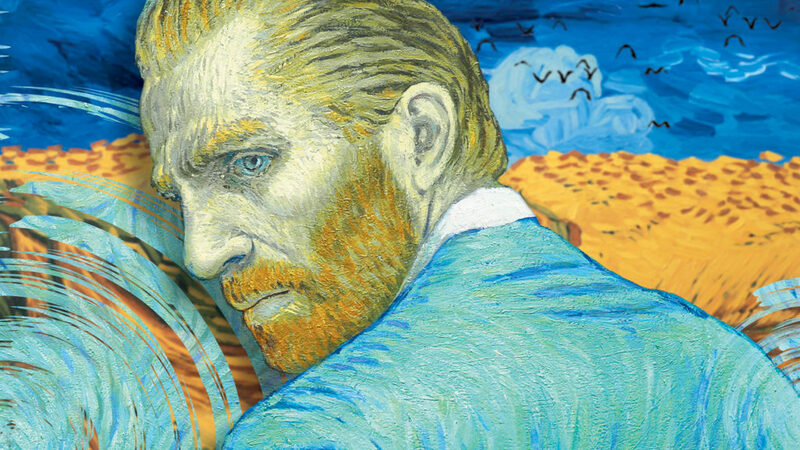 Speaking of hanging frames on the wall, it’s no surprise that we went mad over Loving Vincent last year. 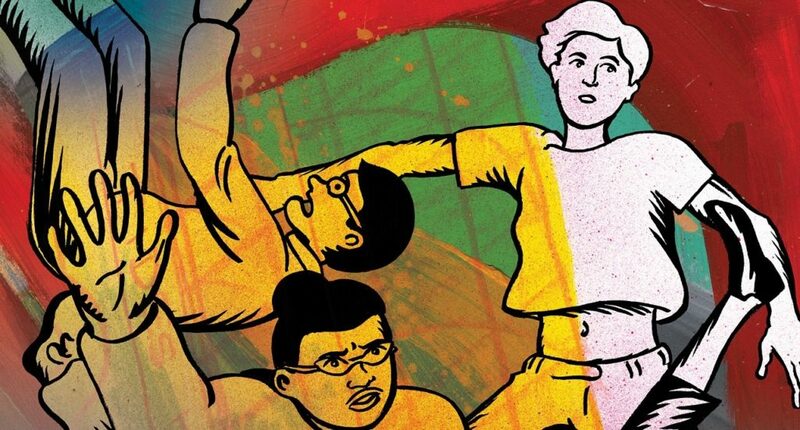 Whilst the one-of-a-kind hand painted frame-by-frame animation is what makes it worth a watch, there’s an intriguing kind of biopic going on here, offering different perspectives and a nuanced take on one of the most iconic figures in art. It was the world’s first animated film made entirely from individual oil paintings. 12 oil paintings per second, all done by over 100 painters trained in the same style. The stills don’t do this justice – watching it in motion makes you feel like you’re in some kind of bonkers, oil and canvas induced dream. Hats off to Breakthru Films for presenting something truly innovative and inspiring. I know that watching their painstaking technical prowess has really stoked the fires here at the studio. I defy any animator to watch it and not want to brush up on their hand-drawn animation immediately afterwards. Also, you can literally hang frames of this one on the wall. Just pony up a few thousand quid and some of the original paintings can be yours! Contrary to what it looks like, we do actually do some work here, we promise. Why not peruse our wares here, or better yet, give us a holler if you’ve got big, animated dreams that we could turn into a reality. Oh yeah, The Emoji Movie came out last year… Don’t bother.